The mass market paperback of Perfect Ten with a brand new cover was released this week. 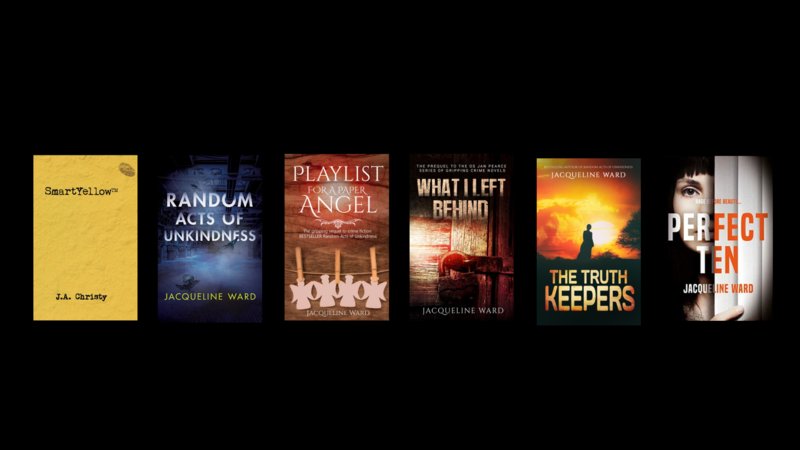 A couple of weeks ago I received an email from my publisher Corvus Atlantic books telling me some fabulous news – that WH Smiths, Asda and Sainsbury’s have agreed to stock it. As a debut author I was not sure what this meant. My agent Judith Murray and my publishers were pleased, so on publication day I went out to explore. I was astounded to find my novel next to famous authors such as Neil Gaiman and Stephen King. I have been a long time fan of Caroline Kepnes and her book You. I loved the TV series and I was more than delighted to see Perfect Ten near You on the shelves. As I was browsing I noticed that even in WH Smiths the book section is small. In Asda and Sainsbury’s it consists of a selection of famous names mixed with new releases. But for the amount of books published per day, week and month, the selection is a tiny proportion. This is good for me and Perfect Ten, but not good for books, authors or readers in general. As I have stated in other posts, visibility is everything and despite social networking, which is reaching saturation point with book advertising, books in shops are a valuable discovery point for readers. 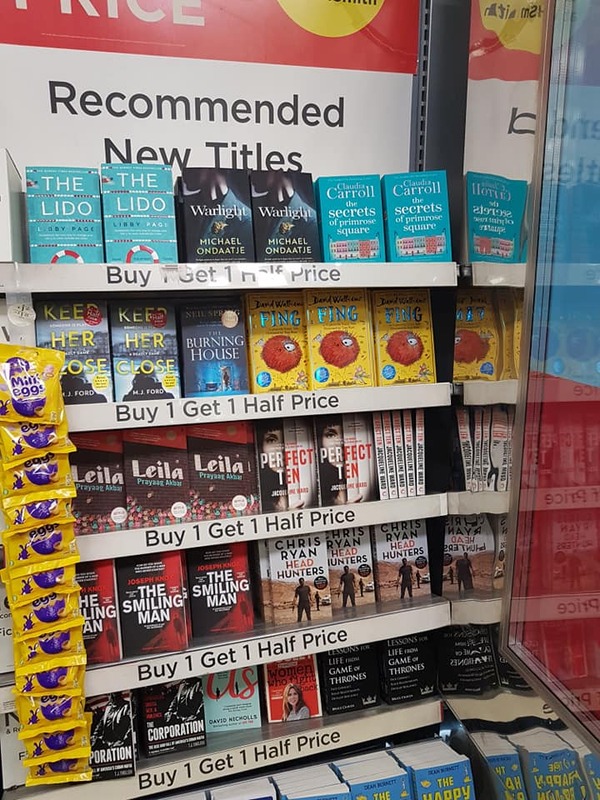 I did feel a little bit sorry for the lovely Craig in WH Smith in Piccadilly Station Manchester, who was just looking at Perfect Ten when I ‘persuaded’ him to buy it and accompanied him to the till to sign it for him. And a woman in Asda Hulme who asked what it was about and received a full presentation of the plot when she had only come shopping for carrots. Other than that, I have managed to observe Perfect Ten from a distance and with restraint! Over the past week I have been inundated with pictures of Perfect Ten on the shelves nationwide. Friends and colleagues have sent me snaps of my novel from Deal to Aberdeen. My friend Neil at Asda in Ashton has sent me updates and Bridget in Aberdeen has been recommending it to everyone! The whole experience has exceeded my wildest dreams – thank you so much to everyone who has bought it. All in all it has been a very exciting time. I am currently proofreading the page proofs of my next novel. I can’t reveal the title, cover or publication date yet but I can reveal that it is finished and ready to go! I will be announcing more at the end of April but for now I am working on a new project and developing more ideas. Over the summer I will bring them together, ready to begin writing again.